Serving Metro Boston, Worcester County, Metro West, the North Shore, Southern Mass, Southern New Hampshire and Northern Rhode Island. 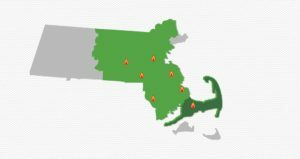 Contact our affiliate, Scudder Taylor Fuel serving Cape Cod. Contact us to learn more about our services and payment options.